Just want to know how much you guys pay to get this fixed over there? Here Indy asks for nz$635. Sounds like a lot of money but you're paying for convenience. Alternative is to get your hands dirty and DIY. Spend $200 on a decent tool kit, buy the parts online from pelicanparts or similar - and spend an afternoon with this set of instructions. If you can put together an ikea bookshelf, I reckon you could do this. Worst case scenario, you get stuck - drive the car to your mechanic with the parts needed, and you're down a few bucks on tools. 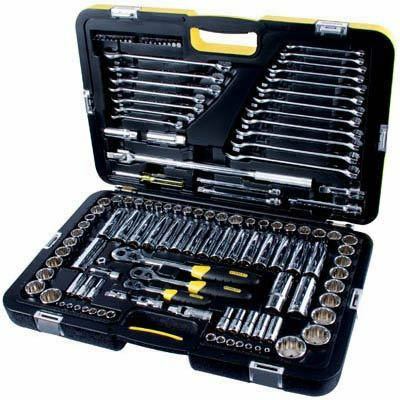 I recommend something like this, cost me $170 (Stanley 132 Piece Kit)- I do all my own work on my cars; haven't been to a mechanic in 10+ years....all using this tool kit. Aside from speciality tools for some jobs, it's all you should need. EDIT: for this job though I would also recommend a trim removal tool, because you don't want to muck up those clips and get rattly trim - plus, now that you own a BMW it's worth investing in a decent Torx bit set because they're everywhere on these things. Last edited by SMOKEY53; 06-25-2014 at 11:15 PM. It is way beyond my capability and I can see that I would definitely break something if DIY, so got to spend that money.